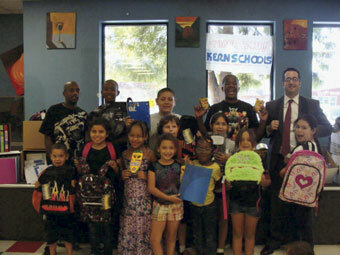 Children at the Boys and Girls Club celebrated with the school supplies donated by Kern Schools FCU. Charter Oak Federal Credit Union, Groton, Conn., has awarded $16,100 to nine local community groups as part of its third-quarter funding. Grant recipients included the Eastern Connecticut Symphony Orchestra, Hospice Southeastern Connecticut, Noank-Mystic Community Band, New London Youth Affairs, New London Community Orchestra, Thames River Family Program, Martin House Inc., Thread City Development Inc. and the Eastern Connecticut Ballet. Since the inception of the Community Giving Program in 2009, Charter Oak has given more than $500,000 to local community and non-profit groups.